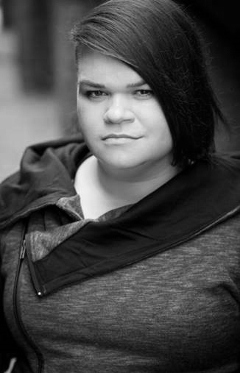 Jordan Raskopoulos is an Australian comedian, sketch and stand-up artist, actress, singer, improviser and voice-over artist. Jordan is also an acomplished events host and professional advertising creative and has contributed writing, ideas, voices and characters to high profile advertising and promotional campaigns for clients including Nestle, Carlton United Breweries, KFC and Amaysim. Jordan is best known as the co-creator and frontwoman of internet famous comedy rock legends The Axis Of Awesome, whose “4 Chords Song“ is one of the highest rated comedy videos ever. The Axis of Awesome’s social media outlets reach hundreds of millions of hits and hundreds of thousands of subscribers internationally. Jordan is an Australian National Theatresports champion and sometimes goes on television programs and panel shows like Channel Ten’s Good News Week, ABC’s QandA and Channel 7’s Thank God You’re Here. She was a permanent cast member on the SBS sports panel show The Squiz, and ABC's #7dayslater. Jordan’s also had some acting success, most notably playing Trax in Underground: The Julian Assange Story, which debuted at the Toronto Film Festival to critical acclaim. Jordan got her start as one of the creators of Australian Network Ten’s 2005-6 sketch comedy program The Ronnie Johns Good Times Campfire Jamboree Half Hour Show Now On Television (The Ronnie Johns Half Hour). The show was nominated for two Logie awards, including “most outstanding comedy series” and was a cult comedy hit in Australia and internationally. “The Axis of Awesome” 15 minute song challenge extraordinary.